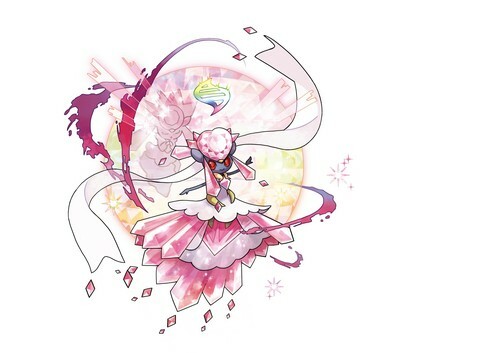 Mega Diancie. When Diancie Mega Evolves into Mega Diancie, the impurities on its body’s surface fall away, and it sparkles so brilliantly it’s impossible to look directly at it.. HD Wallpaper and background images in the Pokémon club tagged: photo mega evolutions pokemon 2014 omega ruby alpha sapphire. This Pokémon photo might contain roos, rosiness, boeket, corsage, ruikertje, bouquet, and posy.